This park is located on the east side in Tampa FL on the northwest corner of the intersection of U.S. Hwy 301 and the Tampa Bypass Canal — just a bit south of Martin Luther King Blvd. This park has a museum as well as a huge amount of outdoor space for walking, pondering and enjoying the fresh air. 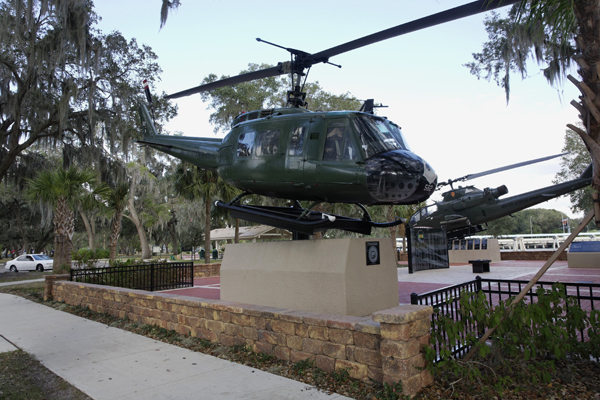 There are military vehicles on display aside from the plaza where two Vietnam War era helicopters — a Huey and a Cobra — sit astride two highly polished etched granite monuments. 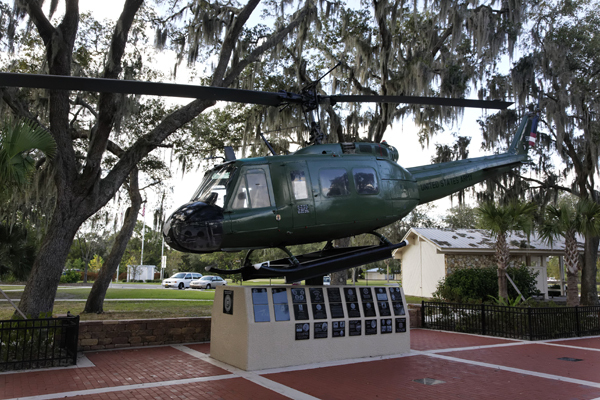 One of the helicopters, on a pedestal mount as if in-flight, is a Bell UH-1 Iroquois — better known across the world as the “Huey” — ubiquitous and iconic symbol of the Vietnam War. This Huey has the livery of one which flew air assault missions, envelopment from above, a new form of warfare shown possible by the Huey. Each Huey able to carry a fire team (essentially half of an infantry squad, a pair of Hueys an entire squad, and dozens of Hueys an entire battalion). I saw such an event at an airshow when dozens of Hueys flew in a formation of three waves, each wave having three tiers, landing a battalion across from the spectator area in a matter of minutes. Think of it, in moments hundreds of motivated infantry is suddenly within enemy held or enemy controlled territory — threat or opportunity to the foes depending upon the quality of the intelligence of the friendlies. Warfare had become much more dynamic. This Huey would have delivered troops, then flown resupply where cargo either jumped or was kicked out the doors in the form of troops, water, medical supplies and ammunition — always ammunition, especially if the landing zone (LZ) was hot — follow-on flights such as these would have been planned for such major insertion operations. Often enough these same Hueys would have taken away the wounded and the killed although other Huey helicopters would also have these assignments, know as “dust off” missions — being manned with medics and provided with additional medical supplies. How important was the Huey? One way to measure is by noting the shortest life expectancy during the Battle of Khe San was the landing guide, vital to bringing a Huey in to a dusty landing, who was the pilot’s eyes to a quick landing since the red lateritic dust kicked up by the rotor wash would obscure ground references. 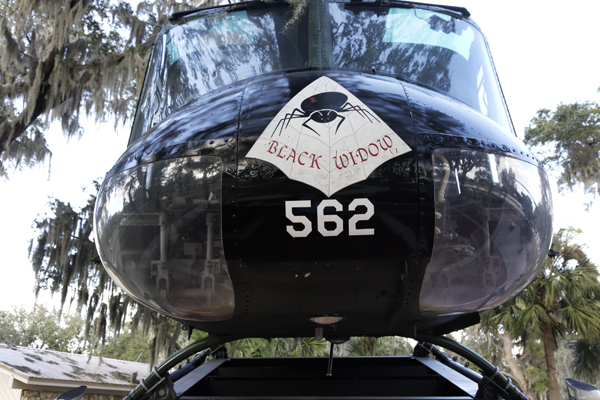 The Hueys were essential and the Hueys needed these men — of which there were no shortage, incredibly brave flight crew and ground personnel were not in short supply during the battle (among others). 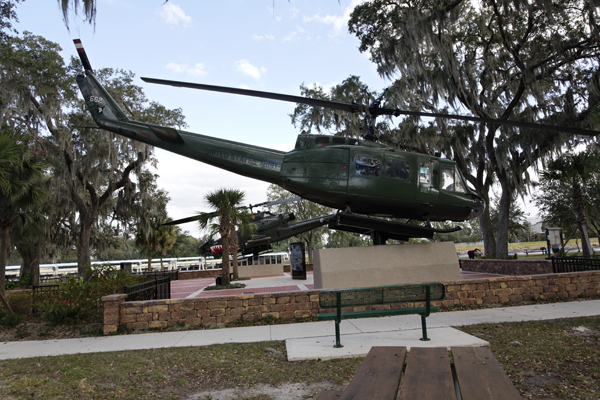 Two excellent reports on the Army helicopters at Veterans’ Memorial Park, Joe – accompanied by outstanding images from various angles! We are there several times each year for Veterans’ events (Memorial Day, Veterans’ Day, and others) and always take time to visit the Museum and the outdoor exhibits and memorials. This park is slightly off the beaten track, and your post will make it known to a wider potential group of visitors: much appreciated! “Lest We Forget” Scottish-American Veterans (SAMS Own) Post 1952, Dunedin, Fla. Thank you David 🙂 Indeed, this is somewhat of a hidden gem though not hard to get to at all. Yes, lest we forget. 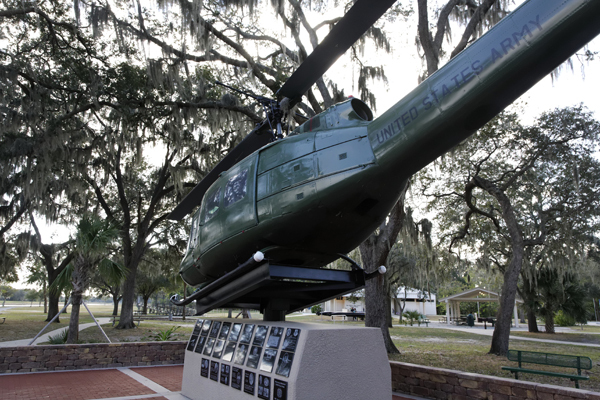 Forgot to mention, Joe: Although Vietnam-era exhibits and memorials are prominently displayed, the official name is “Hillsborough County Veterans’ Memorial Park,” honouring Veterans’ from all wars and campaigns, including the War Between The States! Visit http://veteransparkhc.com/ Cheers! Thank you David … I will edit! A very fitting tribute… Thanks for posting. You are more than welcome. 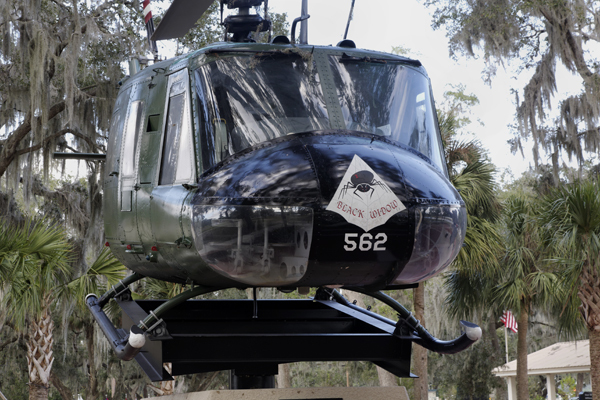 I still recall seeing Hueys back from Vietnam and I everyone I was able to see had patches over bullet holes. Simply incredible machine and air crews. Argh! I cannot believe I missed this when I lived in Tampa!